Used for the daily hygiene of the nose and throat in children and adults. This product has a hydrating and regeneratingeffect on the nasal flora, helps with the elimination of excess mucous, and relieves dryness in the nasal passage. Recommended for use with colds, sinusitis, general respiratory allergies and allergies brought on by pollen or for people who work in stuffy or dusty environments. This product is ideal for the continuation of a thermal therapeutic treatment. 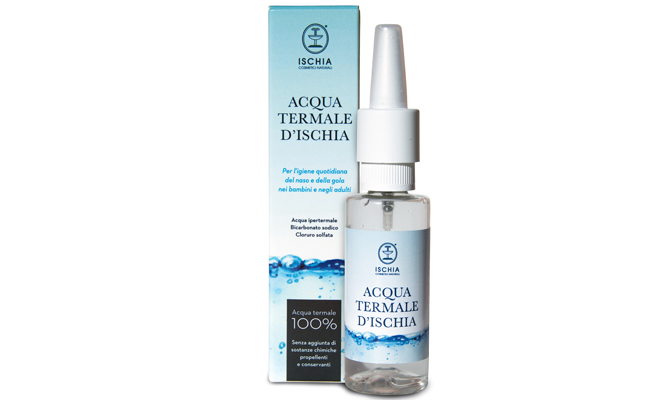 Place the spray nozzle gently inside the nostril, maintaining the head upright, spray the thermal spring water while inhaling deeply.